We accept a wide variety of file formats. Consult with us before sending your files. Our business hours are M-F, 10AM-6PM. The best way to place an order is to pick up the phone and call us. Time to delivery varies with different job processes. We have very fast turn around times and will give you a clear idea of how long your specific job will take. 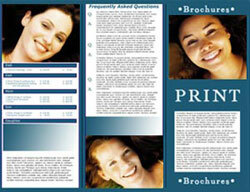 There are many variables in the pricing of print jobs. We will work up a quote for you on your specific needs. Do you do Letterheads, Envelopes, Menus, Flyers, etc. ? Please refer to our Products & Services pages for a an overview of our offering. If you have something specific or custom in mind – give us a call.